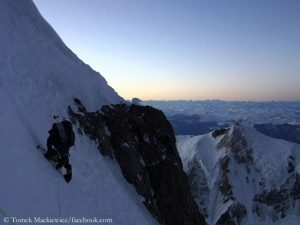 The mixed climbing between the foot of the Southeast Face at 5,600 metres and the exit to the summit ridge at 6,700 meters was comparable to the Eiger North Face, says Torok, “with similar elements like ‘The Ramp’, ‘The White Spider’ or ‘The Waterfall Chimney’”. The Romanian trio spent five nights in the extremely steep wall. There was a “lack of suitable places for bivouacs. 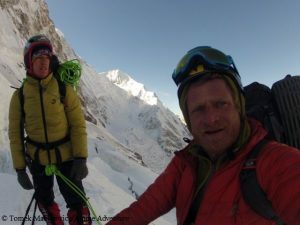 That is why we were forced to fit in the most inappropriate places.” Zsolt had already tackled the route with his compatriot Vlad Capusan in spring 2017, but had then abandoned the attempt because of the danger of avalanches. This time the project was successful. 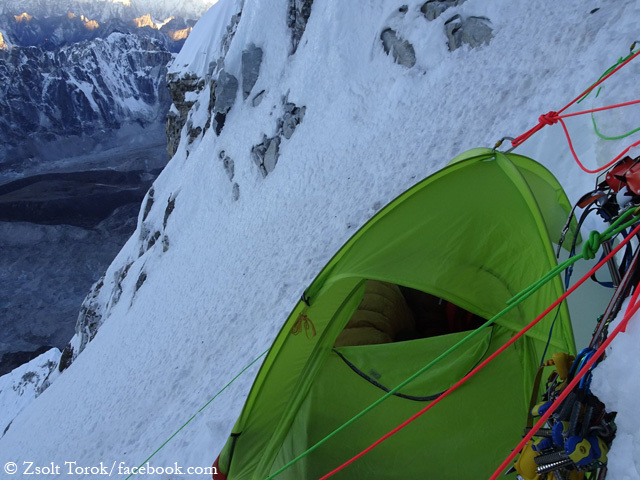 Torok describes the first ascent of the route as „my biggest achievement now, because a world premiere is always more valuable than repeating a route”. Nevertheless, the 45-year-old doesn’t want to hang the coup of the Romanian trio too high: „I do not quite agree with the rush for the premieres, because mountains shouldn’t be regarded as a vertical arena. They are more of a sanctuary. Old routes are accomplished by great men and they are just like the evergreen music, always valuable.” The “romantic climbing” to which Zsolt, in his own words, feels drawn“slowly vanishes from people‘s souls, being replaced by the thirst for the extreme”. 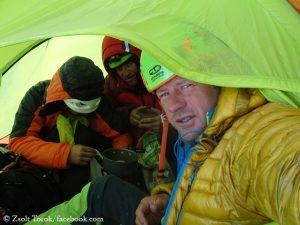 In 2012, Torok scaled Nanga Parbat with his compatriots Teofil Vlad, Marius Gane and Aurel Salasan. It was his first summit success on an eight-thousander after failed attempts on Cho Oyu (in 2006) and K2 (in 2010). 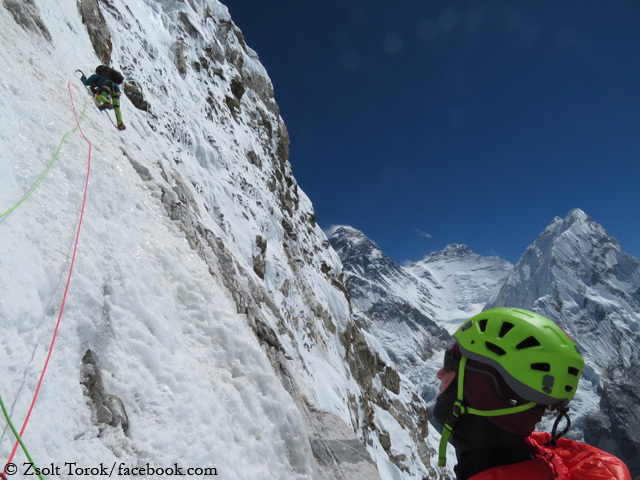 In 2016, he succeeded with Vlad Capusan the first ascent of the 6,374-meter-high Saldim Ri (also called Peak 5) near the eight-thousander Makalu in Nepal. 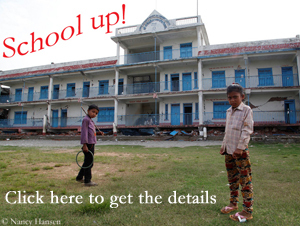 Do you already have aching muscles from keeping fingers crossed? Your pain could become even stronger. 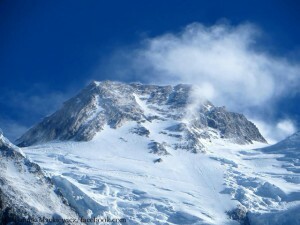 Because the summit bid of the Pole Tomek Mackiewicz and the Frenchwoman Elisabeth Revol that was expected already for Sunday is delayed. It’s time for the Pole Tomek Mackiewicz and the Frenchwoman Elisabeth Revol this Sunday. 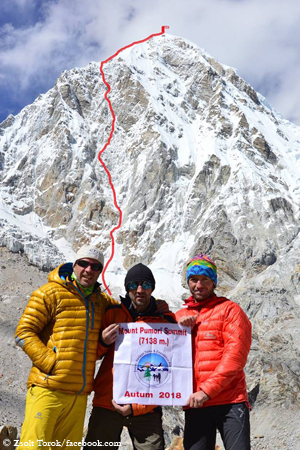 According to Polish media information, the two climbers wanted to start at 2 a.m. local time (Saturday 10 p.